The state of California offers one of the brightest economic hotspots in the United States every year. At an annual GDP output of $2.31 trillion (2014), the economy in California is 40% bigger than the next closest US state, and ranks as the 8th largest economy in the entire world. California's economic might is greater than that of major developed nations such as Russia and Italy. With a broad, diverse workforce that is highly educated, California is home to many of the largest and most successful companies in the world today. Traditionally those companies consisted of agricultural and entertainment businesses, but now boasts behemoths from the tech world such as Facebook, Apple, and Google. 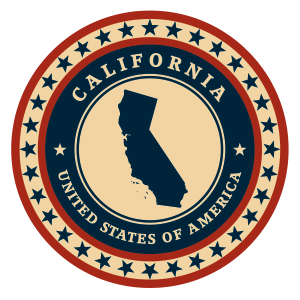 Incorporating in California makes perfect sense for many business owners, and here are a few reasons why. The state of California requires the disclosure of only three officer positions within your incorporated company at the time of filing. You’ll have to provide information regarding a president, Chief Financial Officer, and secretary. Further easing this portion of the filing process, the same individual can hold all three of those positions for the purpose of filing incorporation papers in California. As your company grows in the future, you have the flexibility to change the leadership team with ease. As with any other state, incorporating in California makes it easier for you as the business owner to protect your personal assets. Incorporating in California separates your personal assets and property from the assets and liabilities of the business, shielding you from any potential future downfalls in the company’s fortunes. Additionally, the state of California provides anonymity for shareholders and management within the newly formed entity. The state only requires you to provide information on the director and resident agent representing the company. This means that stockholder information is not put on the public record. Generally speaking, incorporating in California gives your business a professional feel with the addition of LLC, Inc., or Corporation at the end of your business title. There is a big difference in the mind of many consumers when it comes to working with a random small business and one with the weight of incorporation behind it. Incorporating in California also allows you to open a business bank account and secure capital or other lines of credit in the name of the business more easily. The California Secretary of State does not allow businesses to form with names or brands similar to any existing entity. This means you’ll not only find a unique brand name, you’ll be able to craft your own identity without fear of another company muddying the waters in the minds of the consumer. LLC names must end with the term “Limited Liability Company” or the abbreviations “LLC” and “L.L.C.”. The term “Bank” or any of its variations cannot be used in a California-based LLC name. If you decide to form an LLC in California, you must file Articles of Organization. Additionally, California-based LLCs are required to submit an initial report within six months of incorporating and a Statement of Information. The Statement of Information must be filed biennially during a period that runs from the fifth month preceding the LLC incorporation. The Articles of Organization must contain the name and address of a registered agent who resides in California. Registered agents receive and manage legal and tax documentation on behalf of the company. For more help with the incorporation filing or for registered agent services feel free to contact Inc. Plan (USA). In California, in most cases, LLCs are treated as partnerships for tax purposes. Therefore, the LLC income will be allocated to the members and will be taxed based on their personal income tax return. LLC entrepreneurs will not be subjected to any corporate tax, but they are required to pay a minimum franchise tax of $800 which is due within three months since incorporation, and annually thereafter. Each of the 50 American states has its requirements for incorporating. The essential requirements for C- corporations established in California are as follow. Unless the corporation is filed as a professional corporation or close corporation, or if it’s carrying a person’s name, name endings are not required in California. The name endings allowed in California are “Company”, “Corporation”, “Incorporated” or “Limited”, along with their abbreviations. However, the name must not be likely to mislead the public and if it contains the terms “Bank”, “Banc”, “Trust” or “Trustee” the company needs an approval from the Superintendent of Banking. The same may be true of other licensed activities. In order to form a corporation in California, entrepreneurs must file the Articles of Incorporation with the secretary of state. Additionally, California requires filing a Statement of Information within 90 days of incorporation and bienially thereafter. The Articles of Incorporation require a listing of the company’s authorized shares and per value, as well as the name and address of a registered agent with a physical California address. Inc. Plan (USA) can help you with the necessary filings and also with qualified registered agent service. Corporations must pay a minimum annual franchise tax of $800 due the 15th day of the third month after the close of the year. Corporations are exempted from the franchise tax in the first year of incorporation. Organizations based in California are subjected to a corporate income tax of 8.84% of the company’s revenue.